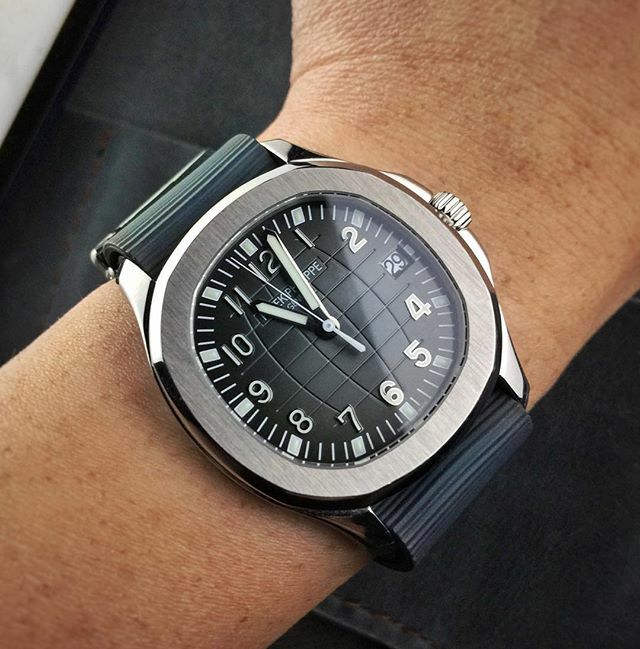 @qtip.416 and his stunning Patek Phillipe on our ZULUDIVER 328 Rubber NATO. This image is all about quality. A modern classic watch on our Italian rubber watch strap makes for a killer summer combo. Our rubber straps are perfect for all day wear, and look great with all types of watches. Nice work @qtip.416! Now available here in 22mm with Satin hardware finishes in nine different colours. Also available in Black with Polished hardware. @jordanobiggs with a fantastic high quality shot of his Rotary timepeice on our polished Classic Mesh. This is a great shot that is all about the chrome. Sometimes you don't need a leather or a NATO watch strap to change the look of a watch. The reflection in the water of @jordanobiggs combo was too good for us to resist putting it in the showcase. Lovely shot @jordanobiggs! Like the look of the Classic Mesh? Now available here in 18mm, 20 & 22mm in nine different colours. 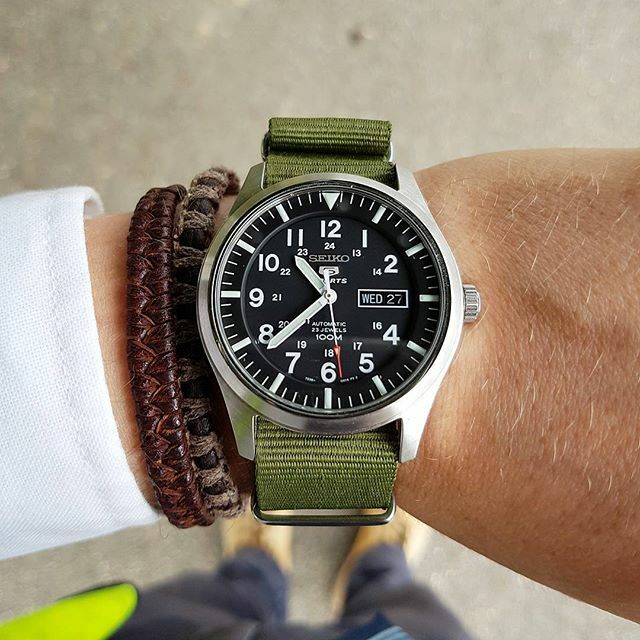 @aecos87 showing off his Seiko 5 Sport on our Green NATO. @aecos87 had #watchgecko on many great images on his watch on our straps we struggled choosing which one we liked the most! The strong colours, the simple lifestyle background and combo with the leather bracelet makes this a excellent image. 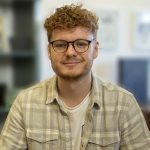 Thanks for the images you have #watchgecko recently @aecos87, nice work on this one! 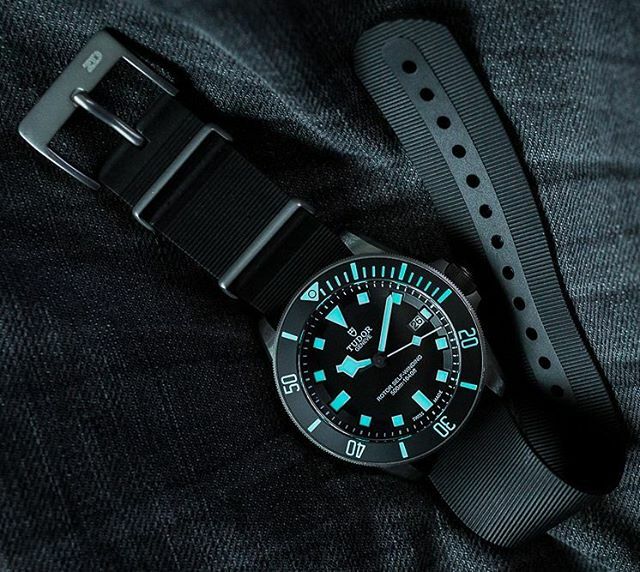 Like the look of the ZULUDIVER 141 NATO? Now available here in 18mm, 20 & 22mm in three different colours and two hardware finishes. 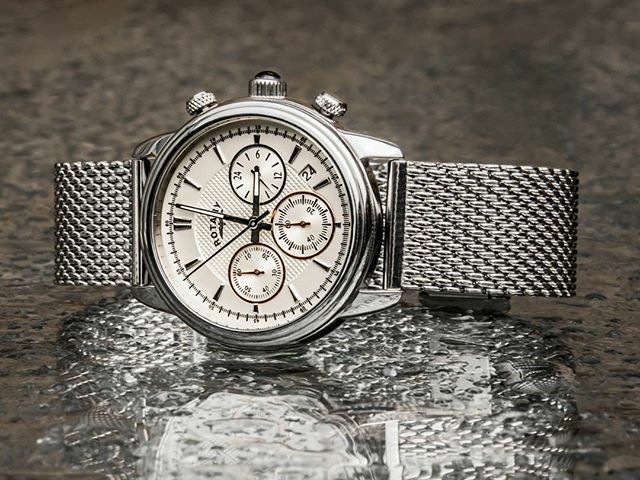 @danish_watch_geek is back again with another stunning image of his Certina. In this image this Certina is out taking a battering from the rain with no problems. The combanation of the camo jacket, Green ZULU strap and great time piece make for the ultimate combo! 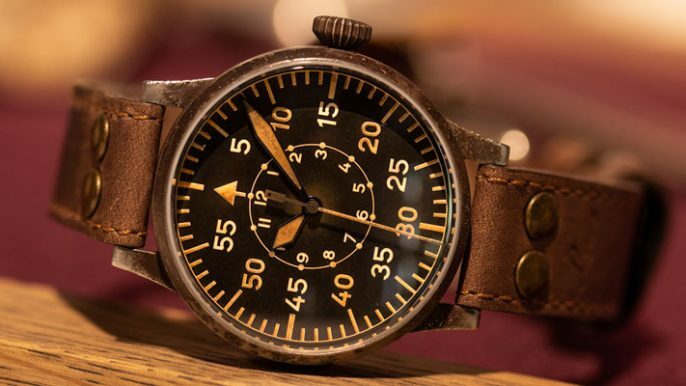 Once again @danish_watch_geek showing off his photography skills, great shot! Like the look of our Green ZULU? Now available here in 20mm, 22mm & 24mm in four different colours. 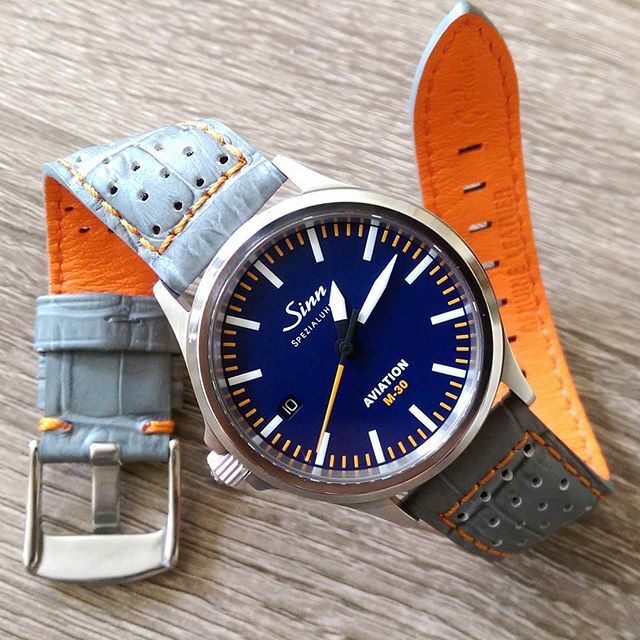 @el_geek matching the orange detail on his Sinn to the stitching on our Jonathan GP 206 Perforated perfectly. 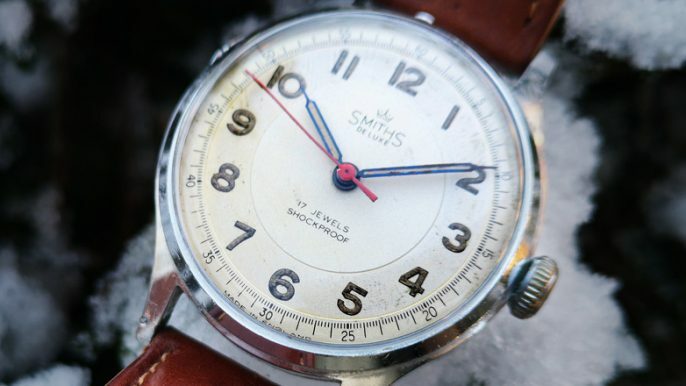 Sometimes its all in the small, details when it comes to combining watches and watch straps. The Jonathan GP 206 Perforated really gives this Sinn timepiece a completely new look. 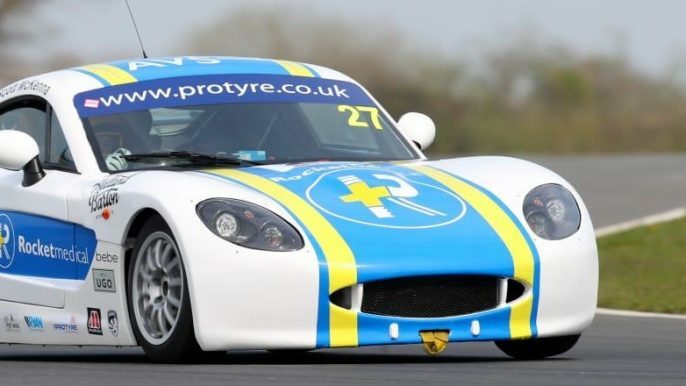 Like the look of the Jonathan GP 206 Perforated? Now available here in 20mm & 24mm in three different colours. @enzo646 has kept things simple and vintage with the two bond straps on two classic Swiss watches. For a lot of people a vintage Rolex or Omega is a grail timepiece and @enzo646 is lucky enough to have both! Quite simply, this is what the Bond range of straps were born to be worn on. 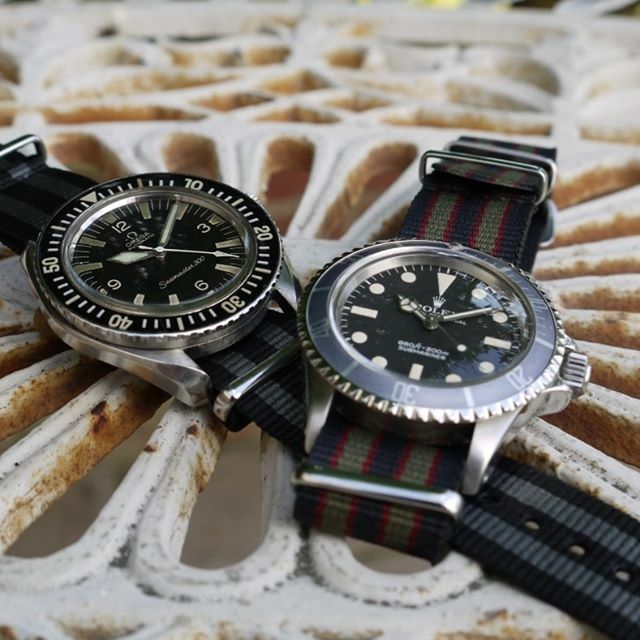 Congrats to @enzo646 for two stunning timepieces, a lovely image and a great taste in watch straps! Like the look of our Classic Bond and Vintage Bond? This Classic Bond NATO is now available here in four different hardware finishes as well as 18mm, 20mm, 22mm & 24mm. This Vintage Bond NATO is now available here in four different hardware finishes as well as 18mm, 20mm, 22mm & 24mm. 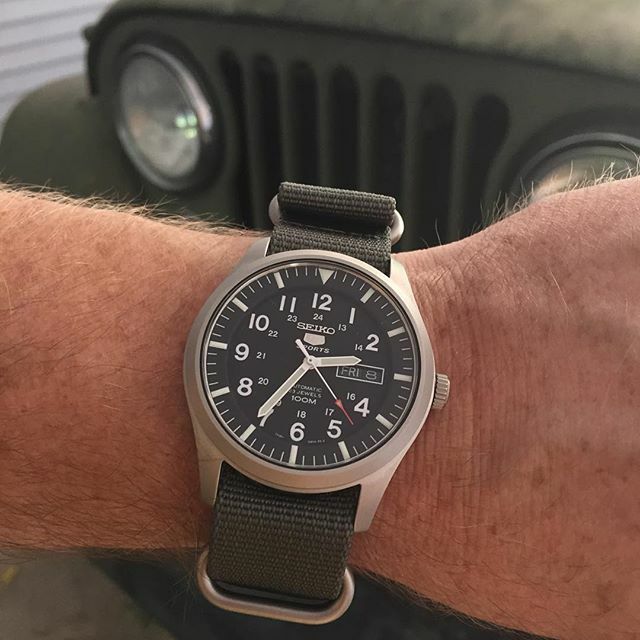 @bevo95 has perfectly matched our Green ZULU with his Seiko 5 Sport and old school vehicle. This is the second time a Seiko 5 Sport has featured in this months Instagram Showcase and both images show the watch off perfectly. The vintage military theme in this image, combined with the perfect combo meant we just couldn't leave this image out! Like the look of our Green ZULU strap? @xlnts is another customer showing the benefits of colour co-ordination and attention to detail. 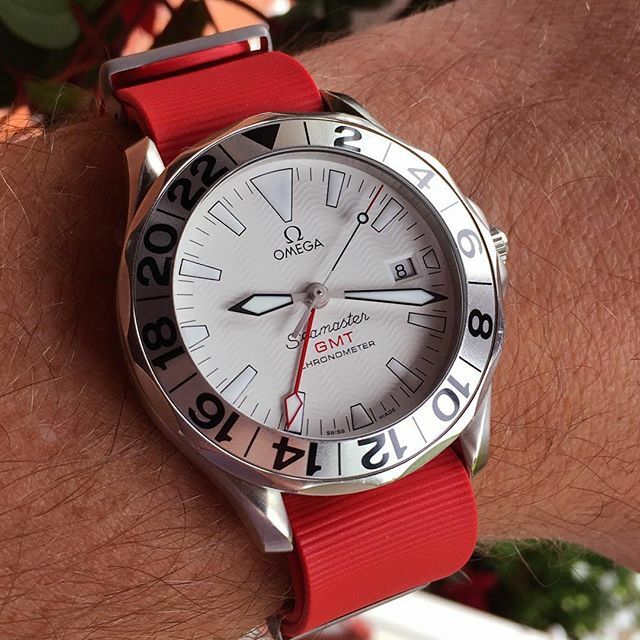 This GMT Seamaster with our 328 Rubber NATO is the ultimate summer combo. 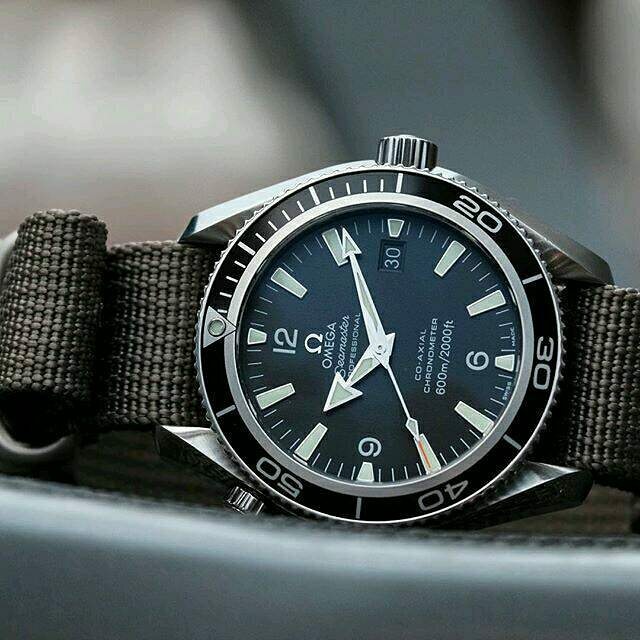 A great image showing off the quality of Omega and our Italian Rubber straps. @robbiekhan is showing off the strength of his Tudor Pelagos lume on our Italian Rubber. Our Italian Rubber watch straps are perfect for the summer without comprimising on looks and style. @robbiekhan has perfected this look and shows off how a strap can really transform a watch. Incredible watch and shot @robbiekhan! 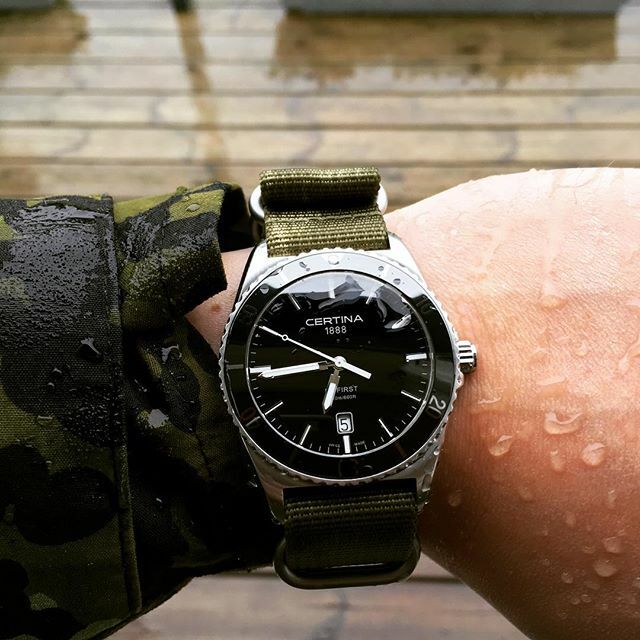 @8past10_simeon with his Omega Seamaster on our ZULU watch strap. This is a perfect subtle combo keeping the watch clean, professional and sleek. A NATO or a ZULU works perfectly with the watch and the ZULU is a great choice by @8past10_simeon to keep the watch practical looking. A stunning image to end this months Instagram Showcase @8past10_simeon! Like the look of our Grey ZULU strap?